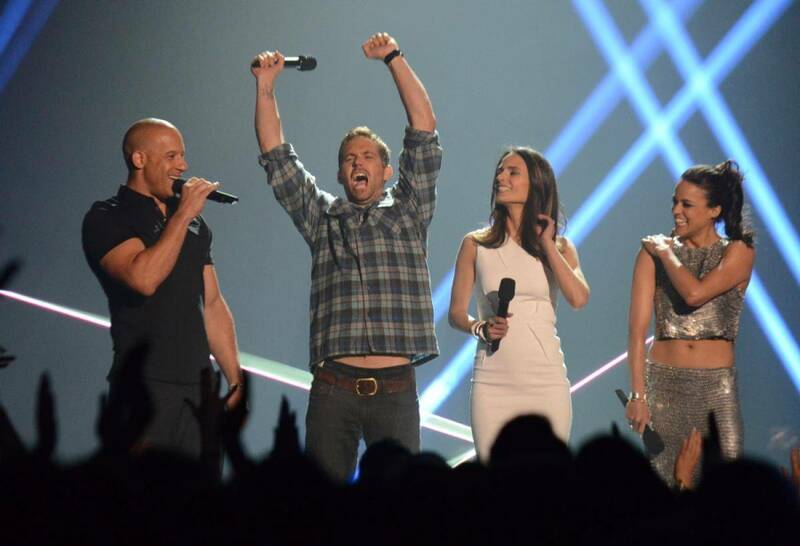 Paul Walker is set to be honored at the 2014 MTV Movie Awards this weekend with a special salute from his Fast & Furious franchise co-star Jordana Brewster. The tragic actor, who died in a car crash in November (13), will be remembered in a tribute segment, according to the Los Angeles Times. Mtv president Stephen Friedman says, “Paul Walker was a role model for the Mtv audience since the very beginning of his too-short career. “Our audience grew up with him, from Varsity Blues to the Furious franchise. He was a movie star but one that they could relate to. Paul’s humanity and kindness clearly showed through every role. MTV Movie Awards executive producer Garrett English tells The Associated Press, “Well, I think we are just really happy and honored that they were willing to allow us to celebrate him in some way on the show. And his family and friends were willing to have that happen.